• Improved performance when loading into lobbies in Free Play, Multiplayer, and the Forza Driver’s Cup. • Players who reach the maximum driver level will have their driver level number replaced by an icon. • Fixed an issue where players were not receiving the Tier 1 and/or “Thanks For Playing” badges. 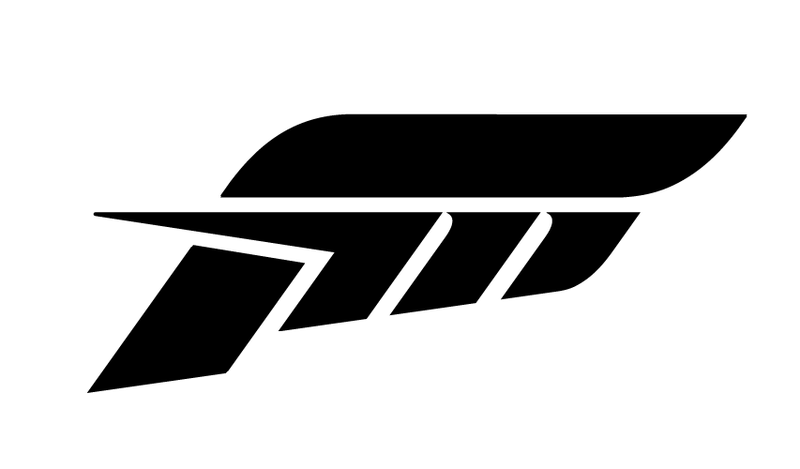 In addition, players who meet Tier 12 requirements in Forza Rewards will now receive the Tier 12 badge. • Players can now successfully load tunes through the My Tunes panel from the Pre-Race menu. • Fixed an issue where scrolling credits menu stuttered. • Fixed an issue where Drafting Feats were not counting properly. • Fixed an issue where non-purchasable Forza Edition cars and Reward cars still have credit prices listed in Car Collection screen. • Fixed an issue where “Distance Ahead” HUD appeared blank when turned on during Autocross events. • Fixed issue where, after increasing Collector Tier, then selling multiple cars, Cars in “Buy Cars” menu still appeared locked. • Fixed an issue where Drivatar names were not appearing during races and on post-race leaderboard. • Fixed an issue where players would sometimes soft lock when switching profiles while opening a purchased Prize Crate. • Addressed hitching performance in videos with various hardware setups. • Fixed an issue where, when restricting a group to X-class cars, P-class cars would be selectable (albeit illegal if chosen). • Fixed an issue where camera motion effects were not turning off when the option was set to Off in the HUD. • Fixed an issue where some players would soft lock after buying a car in Specialty Dealer. • Fixed an issue where some users would soft lock after leveling up their Car Collector tier in the Rewards menu. • Fixed an issue where rewinding after turning off Friction Assist will keep Friction Assist physics on. • Using Friction Assist in Rivals events will now result in dirty times on the event leaderboard. • Players can now toggle FPS display when playing on PC. • Fixed an issue where users would sometimes encounter an infinite load screen when attempting to view a saved or shared replay in Forza TV. • Fixed an issue where there was a disparity between a car’s class in the Car Select screen vs. it’s class in the actual MP race lobby. • Fixed an issue where searching a hopper by clicking on your GT in the lobby prevents the player from navigating the lobby with a keyboard or controller. • Keys can now be rebound/remapped. • Fixed an issue where, when multiple Mercedes race trucks were bunched together, their headlights would flicker constantly. • Fixed an issue where turning on Telemetry causes the Pause function to switch from the ESC key to the “v” key. • Fixed an issue where HDR settings for some players reset to max brightness and gamma upon relaunch. • Fixed an issue where some players would soft lock when attempting to view Driver Level Milestone Rewards from the Main Menu. • Fixed an issue where, in a drag race, bringing up the leaderboard after transitioning to the post-race screen brings up a blank black background. • Fixed an issue where changing advanced graphics options without reloading the race causes substantial popping. • Default chat setting for players in a Party is now Party Chat. • Private multiplayer post-race leaderboard now shows all players in the race. • Fixed an issue where occasionally a player’s Gamertag or the Caution Icon would remain in the game if that player left the race. • Fixed an issue where, after a player disconnects from a multiplayer race, their tag and/or position is not removed from the distance-tracking HUD. • Fixed an issue where switching between players in the Drivers List during private multiplayer sessions was causing a drop in FPS. • Fixed an issue where Track Info UI elements in the Pre-Race menu would not load in properly on PC. • Fixed an issue where clicking on your own Gamertag in a multiplayer hopper would search whatever hopper you selected. • Fixed an issue where party members in private multiplayer would not load into race due to a single member not loading into track lobby. • Fixed an issue where initial paint color for a newly purchased/awarded car is never seen by other players in the lobby or the race. • Fixed an issue where, when a private multiplayer game host sets the game type to “Drift”, the competition rules were still set to laps. • Removed “Mods” reward notice from the multiplayer post-race screen. • Fixed an issue where a player sitting in the Buy Car menu during the race launch would reset the intermission countdown. • Fixed an issue where some players would encounter a soft lock after idling in the post-race menu after ending a race with a DNF. • Fixed an issue where if a player exits the Car Select menu without selecting a car during the Launch Countdown, they will be left behind in the lobby with no car selected. • Fixed an issue where selecting Quit in the Multiplayer post-race screen would cause loss of engine and collision audio in the next race. • Fixed an issue where in private Multiplayer Drag matches, the leaderboards appear for a moment and then disappear in between heats. • Fixed an issue where sometimes player stats would not appear when selecting a driver in the Driver’s List during private multiplayer sessions. • Fixed an issue where selecting Quit in MP Post Race kept player in current Lobby and caused loss of engine and collision audio in subsequent race. • Fixed an issue where Forza Edition cars were not granting XP or CR rewards in multiplayer races. • Fixed camera issues for several cars including the 2017 Ford F150 Raptor Race Truck, 1965 Hoonigan Ford Hoonicorn Mustang, 2017 Nissan GT-R, 2017 Renault R.S. 17, 1991 Hoonigan Rauh-Welt Begriff Porsche 911, 2013 SUBARU BRZ, and the 2003 Hoonigan Holden Commodore Ute. • Fixed issues where cars would behave unexpectedly after incurring damage, including the 2014 Local Motors Rally Fighter Fast & Furious Edition and the 1969 Dodge Charger Daytona Hemi Forza Edition. • Fixed issues for several cars when lights did not illuminate properly, including the 2017 Nissan GTR, the 2012 Audi #1 R18, the 2012 Ford SVT Raptor, and the 1960 Chevrolet Nova Super Sport. • Corrected parts animations for a number of cars, including the 1957 Chevrolet Bel Air Forza Edition, the 1992 Lancia Delta HF Integrale EVO, 2017 Chevrolet Camaro ZL1, and the 1991 Jeep Wagoneer. • Corrected audio issues for a number of cars, including the 2015 BMW i8, 2000 Ford Mustang Cobra R, 2016 Acura NSX, 2011 Penhall Cholla, 2013 SUBARU BRZ, and the 2017 Renault R.S. 17. • Fixed body and/or aftermarket parts issues for numerous cars, including the 2009 Mercedes-Benz ML 63 AMG, 2008 Lancer Evo X GSR, 1995 Ferrari F50, 1946 Ford Super Deluxe Woody, 1992 Alfa Romeo 155 Q4, 2010 Ferrari 599XX, and the 1993 Nissan 240SX. • Fixed an issue where the 2015 Nissan #23 Nismo Motul Autech GT-R would sometimes appear as damaged in pre-race screens at the Nürburgring. • Fixed an issue where the front wheels of the 2016 Ariel Nomad would not turn when the player moved the steering wheel left or right. • Fixed an issue for the 2013 Mini John Cooper Works where selecting a “Previous Color” would apply a distorted image to the car. • Fixed an issue where rain drops were appearing on exterior windows but not interior during pre-race Forzavista. • Fixed an issue with the 2018 Porsche 911 GT2 RS where, in the Exotic GT Division, the car requires the player to homologate even if the car is already optimized for the division. • Fixed an issue with the 2014 BMW M4 Forza Edition, whereby the car could drive inside other cars. • Fixed an issue where carbon fiber paint appears as plain gray in all camera views during a race. • Corrected gear change animation for the 1990 Mazda Miata. • Fixed an issue with the 1993 Peugeot #3 Peugeot Talbot Sport 905 EVO 1C where the driver would clip through the bottom of the car. • Fixed an issue in the Polaris RZR Spec Series where players were forced to “upgrade” their car. • Fixed an issue where ground was missing during some replays at Suzuka. • Fixed issue where buildings were sometimes missing on Indianapolis Motor Speedway/Grand Prix Alt track during pre-race. • Fixed a lighting issue at Homestead, causing black boxes to appear on the 1990 Renault Alpine GTA Le Mans. • Fixed issue at Indianapolis Motor Speedway where the player’s view of the car is obscured by barrier while in the upgrade shop menu accessed from the Pre-Race menu. • Fixed an issue where cars chosen through the Car Select menu in the Livery Editor are invisible. • Fixed an issue where players are unable to scroll through layers after zooming in or out. • Fixed an issue where entering the Apply Decals menu then backing out, then selecting Paint Color caused flickering of paint options. • Fixed an issue where Vinyl Shapes thumbnails would disappear after applying a large number of shapes. • General Drivatar improvements, including fixing issues where Drivatars would consistently drive off the road completely on certain tracks. • Fixed an issue where earning a new Collector Tier level during the Forza Driver’s Cup championship would not bring up the Tier advancement pop-up. • Fixed an issue in the Forza Driver’s Cup UI where “purchasable cars” would read as “0”. Now players will be able to see how many cars they can purchase in the division. • Fixed an issue where custom liveries were not saved and then reset to manufacturer paint when restarting the game and entering Forza Driver’s Cup campaign. • Fixed an issue on Rivals leaderboards where a player’s own dirty lap time is not indicated by a dirty lap indicator. • Players can now access Rivals leaderboards from within a Rivals event. • Fixed an issue where the game would soft lock after a player chooses to “Finish Race” in a Track Days Rivals event and then restarts that event. • Roll-Off Delay functionality now works as intended in Free Play. • Fixed an issue where players in different class cars within the same Division do not see all leaderboard entries for their division on the Free Play leaderboards. • Fixed an issue where Free Play Drivatar Difficulty was reset to Average if the Game Type is changed. • Fixed an issue where Player 2’s controls in Split Screen mode functioned incorrectly. • Tire and engine audio now work as expected for both Player 1 and Player 2 in Split Screen mode. • Fixed an issue in Split Screen where the “Go To Race” panel was permanently grayed out. • Fixed an issue in Split Screen mode, where crowd audio could be heard in races where no crowds were present. • Fixed an issue where music and voiceover was not synched in the opening video for some players. • Fixed an audio issue where completing multiple mods at the same time would result in an overly load “rewards” sound. • Fixed an issue where replays had no game audio after exiting and re-entering any replay in Free Play or Multiplayer. • Master Volume slider range in the Audio Options page has been extended to support “Off”. Users that previously adjusted this slider may need to reset this value. • Corrected shade of blue for the Brazil Flag on the Brazil Driver Gear. • Corrected Irish flag for Ireland Driver Gear.